Current technological revolution, immense Internet penetration, and mobile technologies resulted in a brand new type of consumer. This new consumer changed the manner of making purchasing decisions, but also leaves thousands of footprints on WWW pages, in mobile apps, maps, or transaction systems. All this has resulted in redefining the role of marketing, and placed remarkable challenges before marketers, the solving of which requires not only appropriate technologies, but also a new kind of knowledge. improving communication between marketing and sales departments. This publication was illustrated with examples of various implementations, and as such, it should be a valuable source of information for marketers looking for a guidance regarding marketing automation technologies. What makes the book stand out? 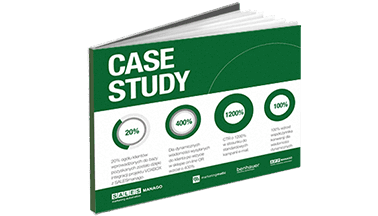 Case studies: publication enriched with examples of implementing various solutions into the businesses thriving on the market. 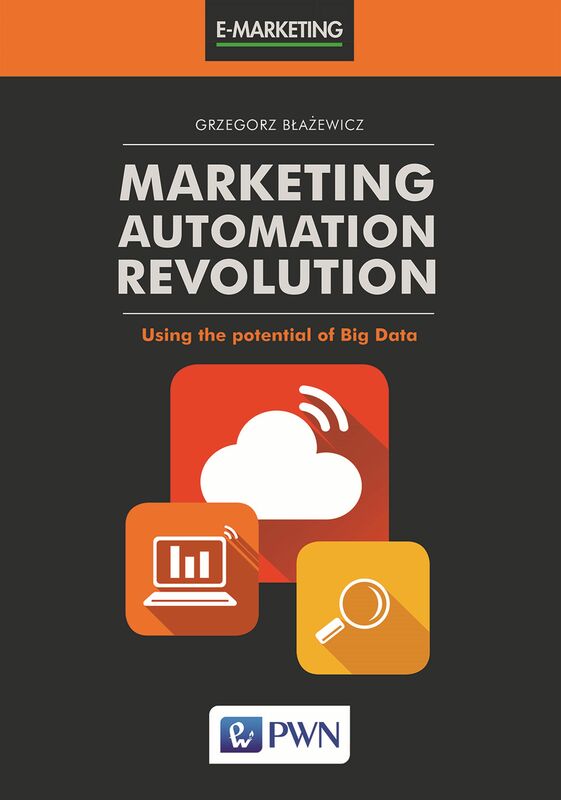 Attractive and up-to-date subjects: Marketing Automation market evolves rapidly both in Poland and around the world. 142 700 companies are already applying these solutions while the value of the market reaches 1,6 billion dollars. Practical character: enhanced with cases of usage and system’s activity patterns will become a valuable summary for marketers who are on a hunt for a guide to Marketing Automation technologies. Suitable for both beginners and advanced: gradually develops a knowledge of Marketing Automation: from basics to high-level and innovative solutions. The book was written for pragmatists who not only acknowledge these challenges and require a complex and appropriate background of the opportunities provided by the brand-new technologies but also search for the explanations of how exactly data is being utilized in the marketing world. 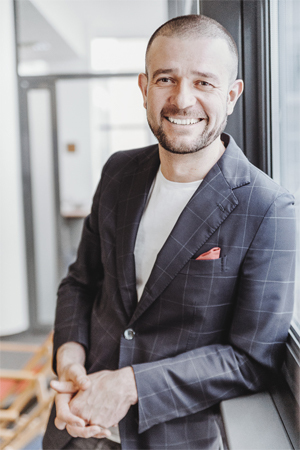 The founder and CEO of the SALESmanago Marketing Automation, first in Poland and one of the first in Europe marketing automation platforms currently used by 10 000 companies in 40 countries across the world. His career started in marketing agencies in New York and London. For 6 years held position of Marketing Director at Comarch – one of the largest European IT solutions provider. In 2006 nominated a CEO of Interia, one of the largest horizontal internet portal in Europe listed on Warsaw Stock Exchange employing over 250 people and led the sale of the portal to one of the world’s largest media groups Bauer Media in 2008. 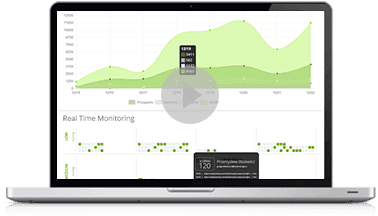 Since then entrepreneur from the beginning involved in creating software for marketing teams, the result of which is SALESmanago Marketing Automation. In 2014 he was a finalist of EY Entrepreneur of the Year contest. By clicking the button, you confirm that you have familiarised yourself with information about the processing of personal data.